Based in St. Etienne, France, Focal Audio has been producing world-class audio equipment for studios, homes, venues, and cars since 1979. zZounds is pleased to offer their innovative studio monitors and headphones to our customers. Whether you're familiar with the Focal name, or learning about them for the first time as a potential ingredient in your home studio, read up on our guide to Focal studio monitors and headphones -- and discover which French-designed transducers are right for you! 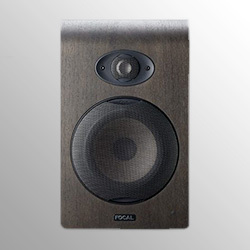 With a dramatic design that instantly sets them apart from most nearfield monitors, Focal Shape monitors are designed to deliver accurate mix representation from the highest frequencies to the lowest. Leave no detail of your mix unheard! 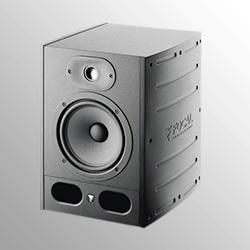 Focal chose to forego a port in favor of dual passive radiators on either side of the Shape 40, 50, 65 and Twin. This allows them to be placed back-up against a wall with no resonance issues. Likewise, their low-directivity tweeters make for a wide sweet spot. Their woofers are made of a flax fiber core surrounded by twin layers of glass fiber for rigidity, lightness and excellent internal damping. A great place to start with Focal's monitoring brilliance is in the Alpha Series. An ideal choice for home studios, Alpha monitors are designed to deliver accurate monitoring in less-than-ideal listening environments like small and untreated rooms. Their low directivity means you don't have to fuss much with their placement to get an accurate representation of your mix. Consistency and versatility are the calling cards for Focal Alpha monitors. Their frequency response remains the same at low and high volumes and they are a popular choice for mixing anything from acoustic trios to electronic music. Whether you prefer the feel of headphones when monitoring or want to listen to your mix on the go, Focal headphones will get an accurate reference right to your ears. Listen Pro headphones were made to move, with a foldable design and memory foam earpads. And though they're the most affordable Focal headphones, they still deliver an incredible 5 Hz - 22 kHz frequency response. For audiophiles, there's the Focal Elegia. These elegant over-ear headphones deliver a supremely clear audio image, with high-end response reaching a stratospheric 23 kHz. Their low-impedance rating makes them a pair that still sounds great plugged into your smartphone, too. 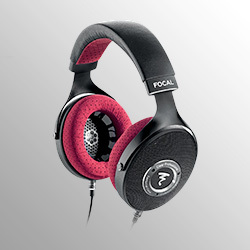 Focal's Clear Professional headphones are the creme-de-la-creme. These open-back headphones deliver an insane 5 Hz - 25 kHz frequency range, leaving absolutely no part of your mix unheard. Their microfiber earpads are designed to be so comfortable, you forget you're wearing headphones as you experience pure sonic bliss.